Watch full One Piece Season 15 Episode 15 English Dubbed full HD online. One Piece Episode 531 English Dubbed online for free in HD. On Fishman Island, Caribou breaks out of the barrel and traps Ishilly and the mermaids with his Swamp-Swamp Fruit powers. Fukaboshi learns that Sharley did have a vision of Luffy destroying the island, and tells the fortune teller that he must deal with the Straw Hats at once. Meanwhile, the Straw Hats finally reach Ryugu Palace for their banquet. While there, Nami reveals that Robin is looking for clues on an important history and Franky is searching for Tom’s relative. Neptune reveals that Fishman Island is powered by the roots of the Sunlight Tree Eve and also supply air to the ocean. 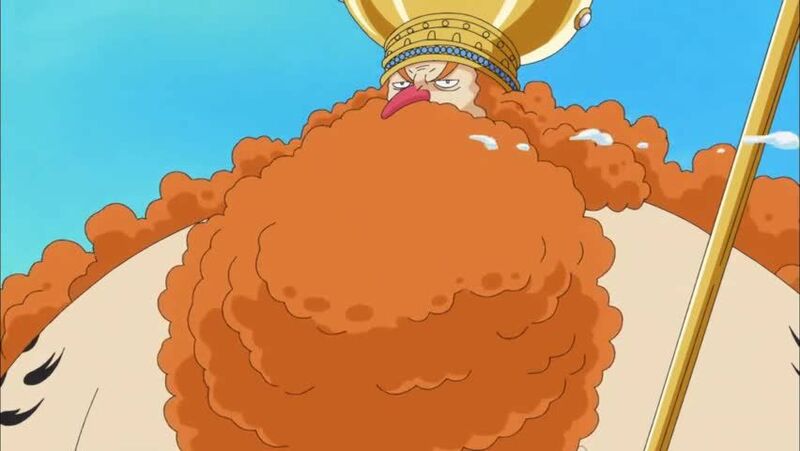 The Ministers of the Left and Right, the king’s advisors, scold him for leaving the palace unharmed and tells the Straw Hats that they received a message from Fukaboshi. Meanwhile, Luffy goes into the castle’s hard-shell tower, discovering food there. However, while running towards it, he unknowingly stumbles upon a gigantic mermaid princess. The princess confronts Luffy, saying that she is not afraid as she is the daughter of King Neptune, before bursting into tears. 5 / 5 - 38 ratings.